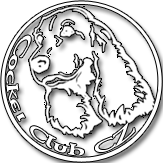 The Cocker Club was founded on 26.3.2010 as a citizen's association. On 24.4.2010 a founding session was hold, where statutes and breeding rules were approved. CMKU officially recognised and approved the club on 16.9.2010 as a breeder club CMKJ for the English Cocker Spaniel breed with the breeding authority from 1.1.2011. Club is open for all breeders, owners and friends of this beautiful breed.